This extravagant masquerade mask is hand painted and glittered. 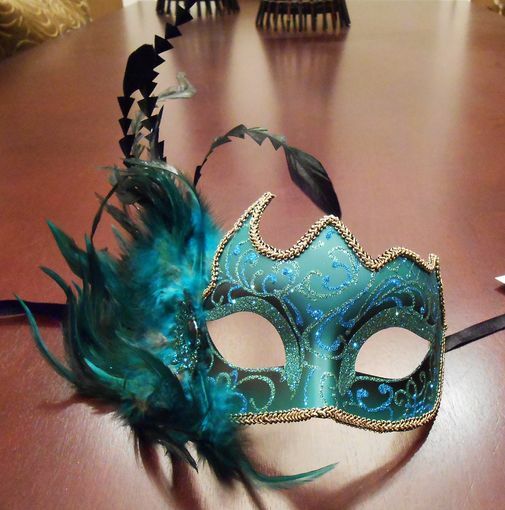 Mask also has a unique shape with large feather accent and gold ribbon trim. Mask secures with black ribbons.